Hello everyone. I usually keep a pretty busy schedule with my day job as an IT consultant, however, there’s just enough Iowa farm boy left in me to maintain a hobby in growing a little something to get my mind off the computer for a while. 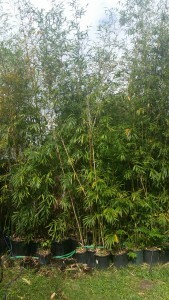 That something is Weaver’s clumping bamboo (or scientifically named: Bambusa textilis) in my backyard on the northwest side of Houston! It all started when I joined the Harris County Master Gardner’s Association back in the early 2000’s. 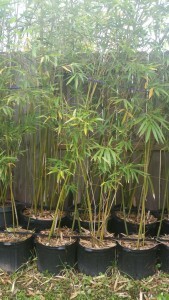 While volunteering there, I was inspired by a giant bamboo plant growing at the back of the gardens. After talking with the County Extension Agent – Horticulture (and then to be future wife, Dr. Carol Cammack), she challenged me by stating how difficult it was to propagate! 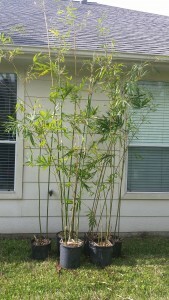 So, I took a couple root cuttings from the giant clumping bamboo plant, and began experimenting with producing bamboo in my suburban Houston backyard. It took several years of trial and error to perfect my method of propagating Weaver’s bamboo, but nevertheless, I’ve done a pretty good job of it. 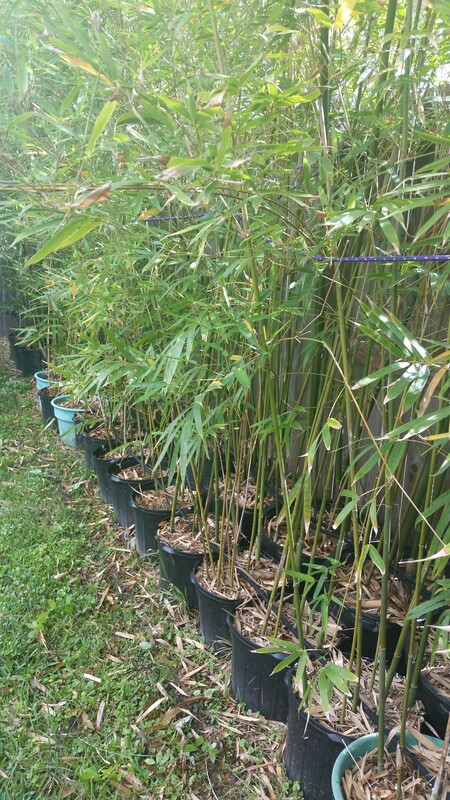 So much so, that my lovely wife, Carol, tells me it’s time to begin selling some of my surplus supply of the bamboo plants (or hint: she wants her backyard back!). That being the case, I’m now actively marketing the bamboo and have them available in various sized containers from 5 gallon all the way up to 50 gallon, mostly 10 to 15 gallon containers. I’m offering them up for sale at $10/gal., and would be willing to deliver them (around the Houston metro area) for a small fee. 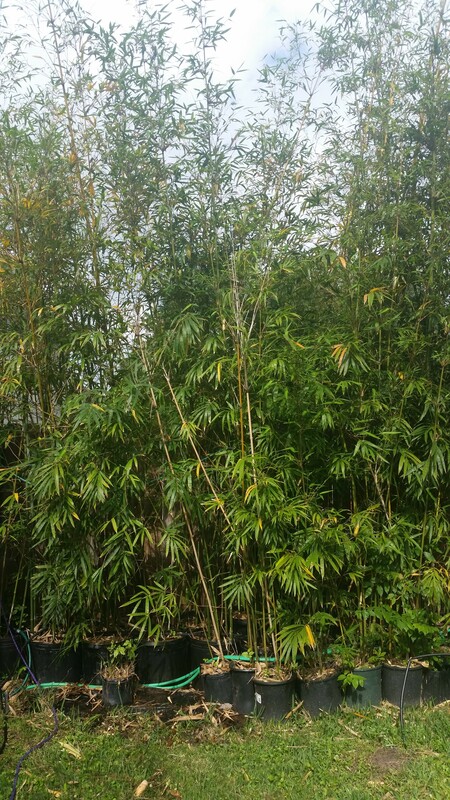 Weaver’s bamboo is clumping by nature, and is quite easily contained, so you won’t have to worry about it spreading. Also, it grows very thick and quite tall. 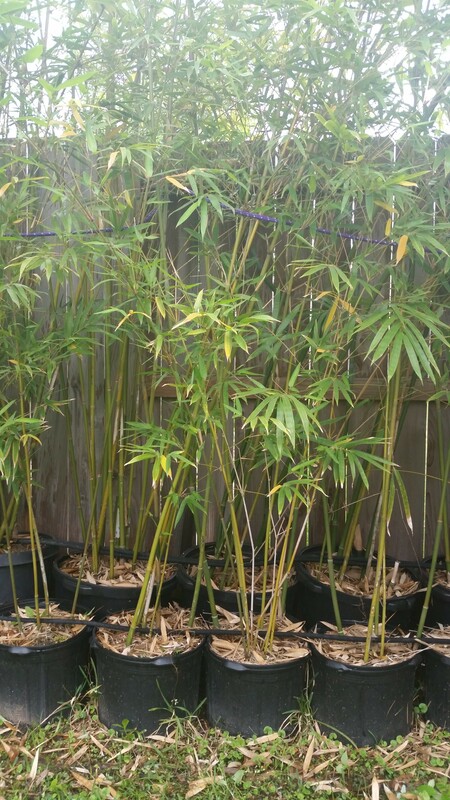 It really is a spectacular variety of clumping bamboo, and can get quite pricey if you purchase them directly from a retail nursery. So, if you’re interested in buying a plant or 10 or even 100 of them, please message me, and I’d be happy to work something out with you. My network consists of 2 FreeNAS servers, and 3 XenServer virtualization servers (which run most of the Microsoft Server 2012 R2 servers, and 2 CentOS 7 machines), and several Windows 7, 8 and 10 clients. After some consternation, I determined the best course of action was to set up one of the FreeNAS servers to be the primary NTP Server for the network, with the second FreeNAS Server acting as the secondary NTP Server. 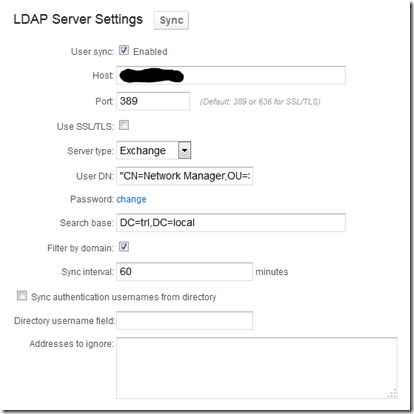 Using the GUI, log in and navigate to System | General, then click on the “NTP Servers” button at the bottom right. CentOS 7 Warning: Your Magento folder does not have sufficient write permissions. I recently set up a new Linux (CentOS 7) box as a Magento development environment for one of our clients. 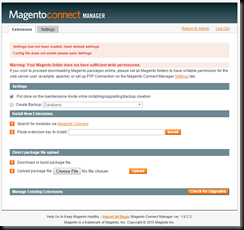 I was primarily interested in using Magento Connect to do an upgrade from Magento 1.9.2.2 to Magento 1.9.2.3. 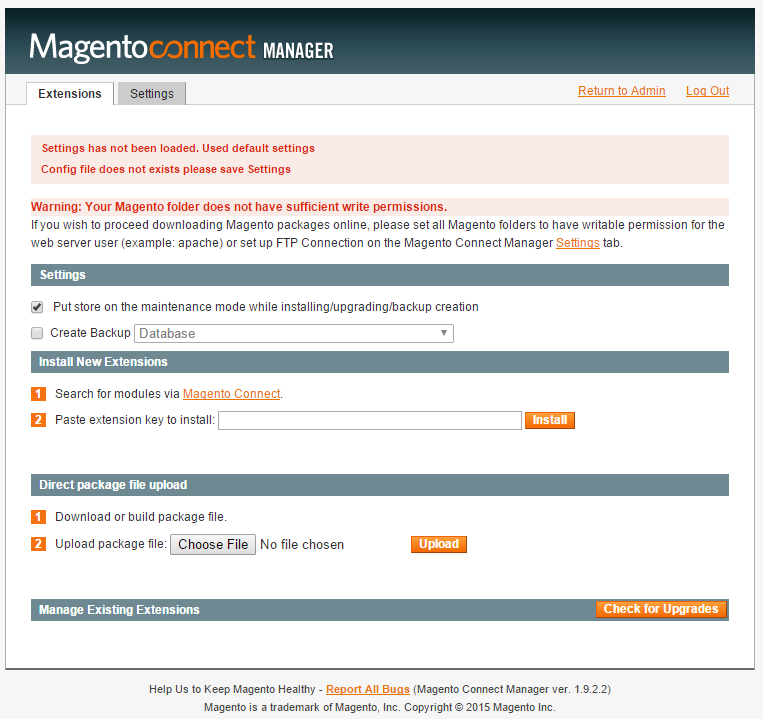 When I tried to use the Magento Connect Manager, however, I immediately started running into issues. I kept getting the warning message, Warning: Your Magento folder does not have sufficient write permissions and wasn’t able to continue. After Googling numerous times, and verifying my file permissions, and apache and php configurations, I still wasn’t able to solve the problem. Everything seemed to be configured correctly! Armed with this information, I started searching Google again, and came up with this post, which lead me to this post. After following the instructions found here, I was able to continue with my upgrade. # minimum – Modification of targeted policy. Only selected processes are protected. I hope this helps someone else! I hope this might help someone else! Your message wasn’t delivered due to a permission or security issue. It may have been rejected by a moderator, the address may only accept e-mail from certain senders, or another restriction may be preventing delivery. My suspicions were confirmed, as the IPv6 Address that came back was the same one in the gmail header! 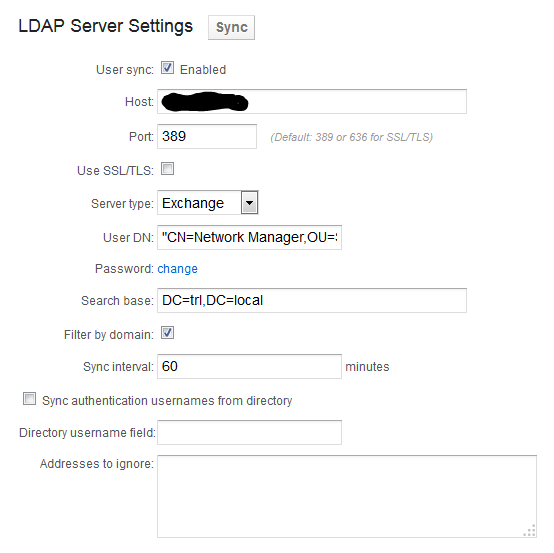 So, I then followed the google instructions in the support link they provided and added a new PTR dns record by logging in to our Domain Registrar (GoDaddy) and added an AAAA (IPv6 Host). Sure enough, it fixed the problem! So, the solution turned out to be super simple for me at least! I hope this post helps someone else out. Over the past several months spam has been getting out of control, so I decided to try out Mailprotector (a cloud-based email filtration solution). The specific product that I’m evaluating is their CloudFilter Total Email Security product. Configuring it was relatively easy, I just followed the instructions listed here. This yielded a list of users defined in Active Directory, which is just what I wanted to see. Looks easy enough, right? Well this is where the second bump in the road occurred. Upon saving, the new MX records seemed to be there for a few minutes, and then would go away, and return back to the original MX record. After a few attempts with the same result, I decided to start searching for an answer. It wasn’t very long before I ran across this post which led me to this post. I vaguely remember when originally configuring SBS2011, something about having all the DNS records automatically configured by the server, and that GoDaddy was one of the domain registrars that it worked with. Once I put this in place, I rebooted the server to make sure the new setting took effect. This solved the issue, and Mailprotector started filtering email. Mailprotector also recommends locking down the network and configuring exchange to only accept email from the Mailprotector server. The instructions are found here. I am deferring this task for the moment and will update this post as I get time to do so. That’s pretty much it for the initial configuration! I will continue to update this post as I gain more knowledge and experience with Mailprotector’s CloudFilter product. Yesterday, I needed a way to generate a random alpha-numeric key of various lengths using PHP for a project that I’m currently working on. I didn’t find any built-in functions, so after some Googling, I decided to implement my own version. Let me know if anyone has a better suggestion? While installing some demo software today, I had to create a self-signed SSL certificate for IIS7. 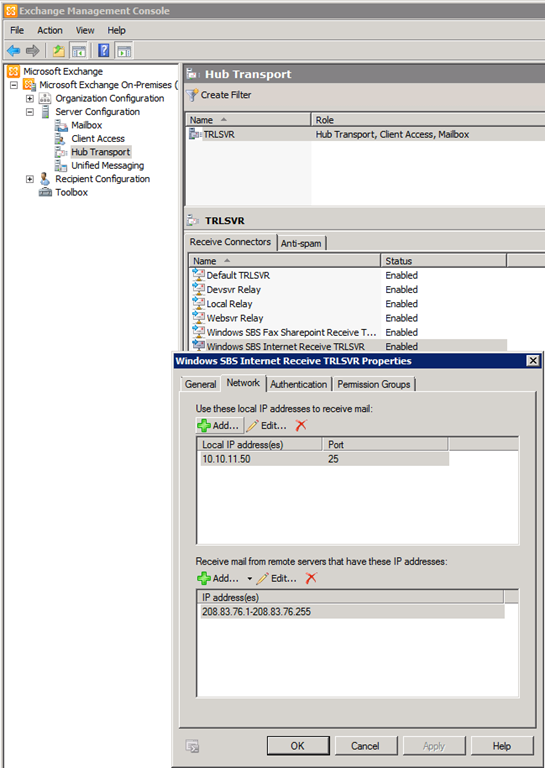 This is a relatively easy thing to do within the IIS7 Manager. However, the certificate that IIS7 generates is only for the machine that it is running on. I need a certificate that has my custom web site domain name on it. 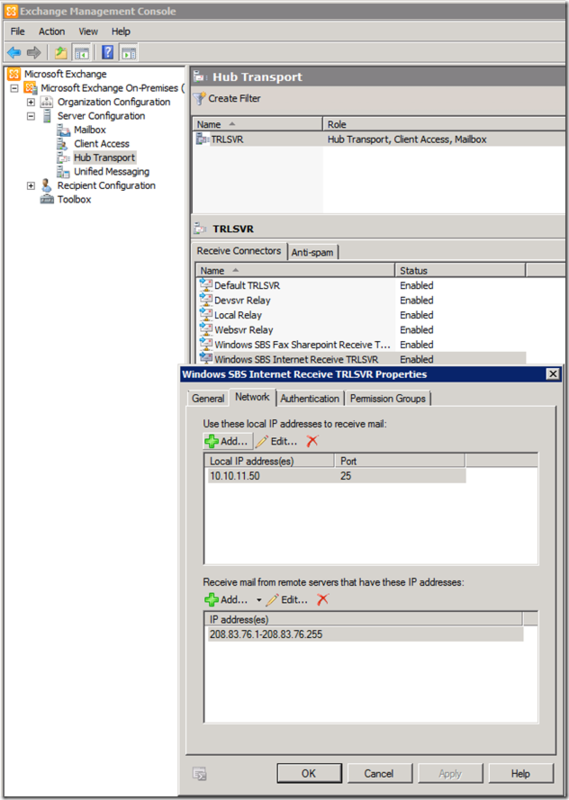 As it turns out, Microsoft has eliminated this capability within IIS7, so the easiest way to accomplish this is to use the selfssl tool from IIS6. It took me a while to figure out, but after some Googling (with much trial and error), here’s what I came up with. I found a post, Self-Signed Certificates on IIS7, that I used to create and install the certificate. So far, I’ve installed three (3) open source shopping carts; PrestaShop, OpenCart, and TomatoCart. All of these packages have been developed with PHP and MySQL technologies. This morning I’ve decided to see if there are any open source ecommerce packages written in a Microsoft .NET environment. My first search lead me to the Microsoft Web Gallery. From there, I found nopCommerce. It looks like a reasonable package, so I’ve decided to install it and see what it looks like. I wanted to first look at the documentation, however, it’s not free! I decided to download the product and install it anyway. I have two (2) choices for installing. The first way is to use the Microsoft Web Platform Installer. The second way is to manually download and install it. I’m choosing the latter, as I want to be sure to get the complete package with source code. I’m continuing my evaluation of open source ecommerce packages by installing TomatoCart. TomatoCart was chosen as the second runner-up of the 2010 Open Source Awards as published by Packt Publishing. I began my TomatoCart installation by reviewing the tomato Cart documentation WiKi. The wiki has many uncompleted links, but I managed to find the TomatoCart User Guide, which covered the basics needed to get the software installed. I downloaded the current version, TomatoCart v1.1.3, and saved it to my “install\tomatocart” folder. I then created a new “tomatocart” folder under my “www” root folder and copied the contents of the “gtrunk2” folder from the downloaded file there.